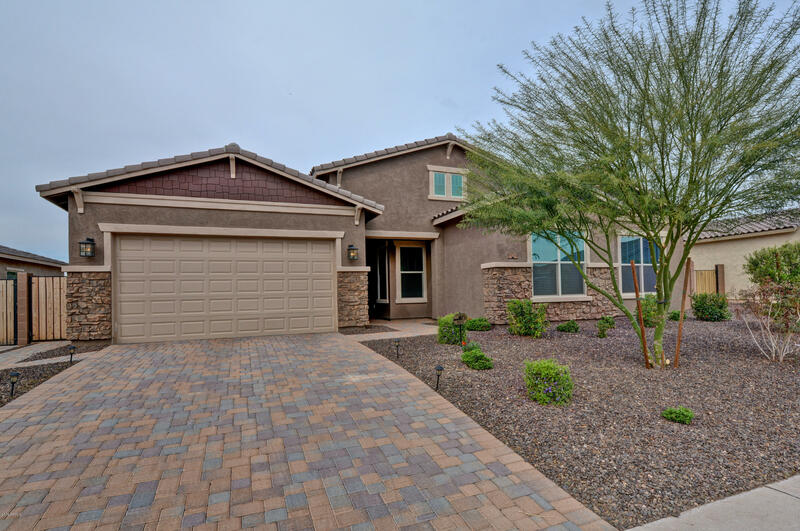 All MEADOWS PARCEL 4B homes currently listed for sale in Peoria as of 04/20/2019 are shown below. You can change the search criteria at any time by pressing the 'Change Search' button below. "Welcome to the Meadows! A community that offers charming neighborhood parks, great schools, and a community pool. Gaze upon the open dining room through to the great room and out to the patio from the entry foyer. Kitchen with granite counters, backsplash, island, cherry stacked cabinets with pull outs, soft close drawers, cozy nook, and walk-in pantry. Built 2017 complete with landscaping front and back, window treatments, stainless steel refrigerator, washer and dryer. Split spacious master su"